Disclaimer: Some of the links below (such as Word Nomads, Blue Host etc) are affiliate links, meaning, at no additional cost to you, we will earn a commission if you click through and make a purchase. As always, we only recommend products and services we trust. Before I get started, I wanted to quickly say sorry! Its been a while since we published our last income report. Since our last report (Q1 and Q2), we had been hopping around Europe making it difficult to knuckle down and get things done. For the last few months, we literally haven’t stopped moving. I’ve had tomatoes thrown at me (La Tomatina Festival), rode on a camel, slept in the Sahara Desert, ate waaaay too much tapas in Spain, drank waaaay to much beer in Oktoberfest, and spent a lot of time adventuring around the Czech Republic and Croatia. It was literally one of the best years of my life but for now, we have slowed down and are back in Thailand with bigger and better goals. Because we practice what we preach, we want to stay true to our superpowers. Mine is writing while Tom is numbers and business. With that in mind, I (Anna) will be taking over writing these quarterly income reports while Tom provides me with the numbers and graphs. So before I ramble on, let’s get to talking about Q3 of 2018 and how much our blog made during these three months. If you are new to our income reports, we started publishing our income reports this year for a few reasons (you can read about it below) but if you would like to catch up, here are a few of our previous reports. Last Reason: The selfish reason we want to start doing this is… to keep us accountable!By hitting publish on these income reports, we are revealing our successes but also our failures. We learn and continue growing by reviewing our month to find out what worked and what didn’t. Our mission for Adventure in You has always been to inspire people to do more and live their life to the fullest, so they can create unforgettable memories. For us, the only reason we get to experience the things that we do is all because of our travel blog! Blogging has given us the freedom to create a life that we could have only dreamed about which is why we want to share it with others! For those of you who don’t know us, my partner Tom is from Wales while I am from the Philippines. We met while backpacking in Vietnam and have been traveling full time since 2014. We had both spent years saving up for our first traveling experience. I spent 6 years saving up and working as a teacher while Tom worked as a waiter in the UK, while finishing his degree. Like most people, after having an incredible experience traveling, we didn’t want to stop. After we returned to the “real world”, we needed to find a way to keep fueling our wanderlust. I couldn’t bear the thought of spending another 6 years just to save up again so we decided to start our travel blog. By the end of our first year, our travel blog started to bring in $2000 a month. The year after, we started bringing in $5000, $8000 and soon after, we started making $15,000+ per month. It was only after we started to consistently bring in revenue that we decided that we wanted to help others achieve the same level of freedom we now have. Blogging changed our lives and we’re excited for it to do the same for others! Truth is, there was limited opportunity to make money blogging 10 years ago unless you had a huge following. Today though, brands are a lot more willing to work with bloggers, good ad networks have come out and the affiliate opportunities are endless. This free course walks you through picking a niche, name, getting your blog online and the different ways to make money. It also includes in-depth video tutorials on how to set up your blog on WordPress which is something we wish we had when we got started! If you already have a blog but are making less than $2000-3000 per month take a look at our Blogging Fast Lane Course. This 7-week course is packed full of actionable information on how to explode your following and increase your revenue. We managed to get our blog earning 5 figures a month in just two years and we want to share the exact strategies on how we did this! 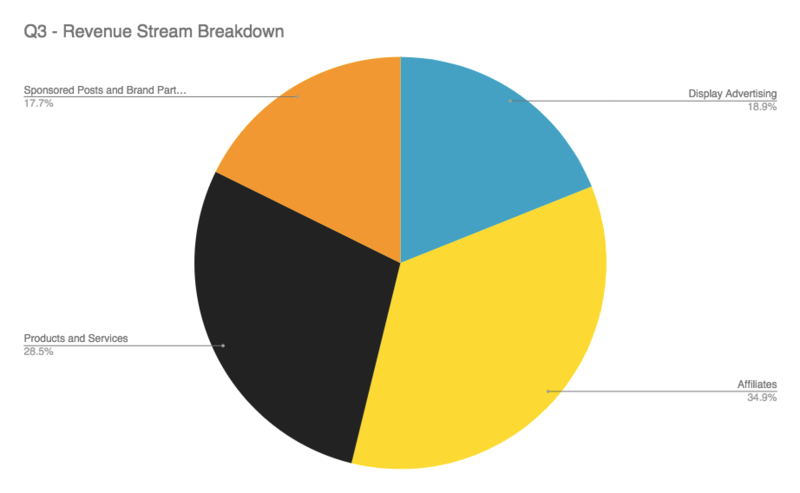 Now, without further delay, let’s get into this quarters Blogging Income Report! To be perfectly honest, our focus points during these last three months has been traveling. We had committed to a few big brand partnerships during this time and placed most of our efforts fulfilling these campaigns. Did a LIVE blogging training with over 200+ attendees. Revived our SEA book funnel which is now back at our target revenue goal. Started coaching a few advanced bloggers with funnels and email marketing. To be perfectly honest, we took a bit of time off our business during the month of September. Although we were still working (we were working on our Czech Republic Campaign), most of our time went into that and nothing else. Although Tom and I have been travel blogging for 3 years now, we never really went on a lot of press trips because we knew from the start that this type of business model isn’t scalable. While this might be an unpopular decision amongst the blogging world (who doesn’t love free trips! ), press trips ARE a ton of work in the end which is why from the very beginning, we decided to keep these to a minimum. In fact, you can tell from our income during the months of July and September that our business was running on auto-pilot. Luckily, we have built our business in a way that no matter if we’re traveling or not, we are consistently bringing in passive income which is amazing. Coming from someone who spent years working in a school, I am used to trading time for money. If I worked for 8 hours…I got paid for 8 hours. The same holds true for Tom who used to work as a waiter. This is the very reason why we decided to focus on building Adventure in You’s passive income stream models which consistently bring us in revenue regardless if we put in the hours or not. Although our passive income stream is good, we were both itching to settle down in one place and get some work done which is why we decided to cancel our plans and leave Europe. While you can read about it in detail in the article above, both of us felt like it was time to slow down, re-shift our goals and stay put in one place. We’re grateful that we got to tick a lot of things off our bucket list during these last three months but we’re also looking forward to having a base and a place to call home. Since the Google Update, our traffic has gone down a bit. I would also put this down to the fact that some of the keywords that we rank for are quite seasonal. This being said, we know most of them will bounce back. Although our traffic has gone down, we are not fretting (too much) because traffic doesn’t always equate to a good income. As long as our numbers are meeting our revenue targets, we are happy! In Q1 of 2019, we are making plans to hire a full-time editor whose main role will be to work on our traffic and content as we would like to get it to over 600k per month. Top Tip: For other bloggers out there, although it is so easy to get caught up on numbers, remember that your time is probably better spent focusing on things that bring you in money. So if that isn’t traffic for you, focus in on conversion rates, affiliate income, email subscribers, and rankings for high performing articles. Traffic is sometimes seasonal so keep this in mind and don’t loose sleep over it. 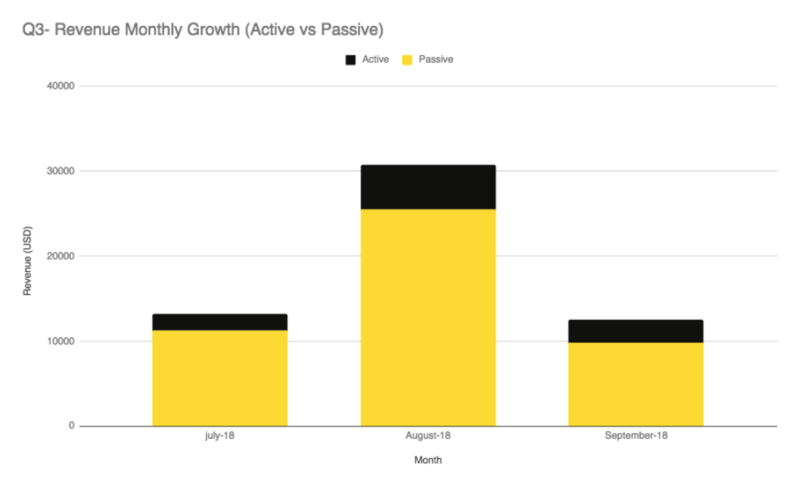 The graph below shows our revenue growth for Q3 split by Active income and Passive income. 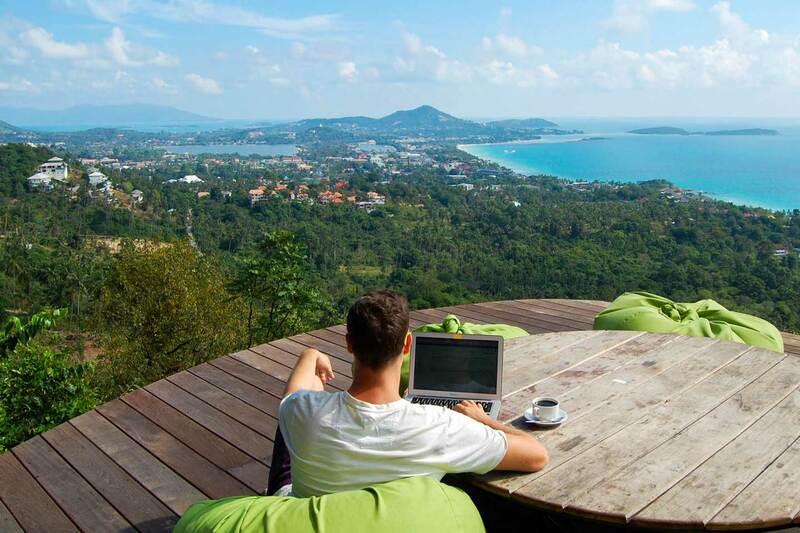 Passive income is money that you earn without doing much to make it during that period. Please Note: All income in this report is in USD ($). Although we’ve listed this amount as our income gained this month, some affiliate networks and clients take up to three months to pay. It’s funny because, in our business, Tom and I see huge results whenever we’re in one place. During this time, we are at our most productive and are able to work on solid projects which generally thread the needle in our business. The month of August was proof, earning us our biggest income yet. During this month, Tom and I hunkered down in Barcelona, got ourselves a co-working space membership and just generally worked our butts off. Just writing that down made my jaw drop as the fact that we made this amount of money from our computers is pretty incredible! I’ve said it before and I will say it again but the digital world has really revolutionized the world we live in and the fact that in one month, we were able to make 3x more than my yearly salary in the Philippines just blows me away. As mentioned, the month of July and September we were kinda just in maintenance mode, with no real push on any big projects, products, or articles. Our affiliates did really well for us in Q3 which is exciting to see as this is really a side of our business that we are pushing to grow. Compared to Q2, our display advertising revenue has gone down which is something we want to increase again for Q4. As mentioned, our revenue from display ads have been going down quite consistently which has been slightly frustrating. In Q2, we were averaging around $4000 per month give or take. In Q3, our average is down to around $3200. Although we know that our ads directly correlate to our traffic, we have seen our RPM go down as well which we are trying to get to the bottom of. Tom and I are testing out a few things which we are going to report back on this Q4. As mentioned, our affiliates have spiked up this Q3 which we are over the moon about. Listed below are our income for affiliates alone so you can see our growth. So, what did we do differently? I would have to attribute our increase in affiliate income to our email marketing. As mentioned in our last income report, we shifted from Convert Kit to Active Campaign which overall improved our deliverability rates. Aside from this, we also implemented email marketing sequences to help distribute our affiliate based articles. We have one for Amazon articles, one for South East Asia, and another one for travel insurance which seems to be doing a pretty good job. Whatever you do, make sure that the affiliates that you recommend are 100% brands that you stand by and trust! Blogging Myth: A lot of people think that Email Marketing is something exclusively for people with products to sell. This is one of the biggest myths in blogging as your email list is one of the most valuable assets that you can build. We use ours to distribute targeted content, connect with our tribe, give out special offers, grow our affiliate income, and product launches. Although we don’t usually do a lot of sponsored posts, we did work with a couple of big brands which lead to some pretty big deal partnerships. 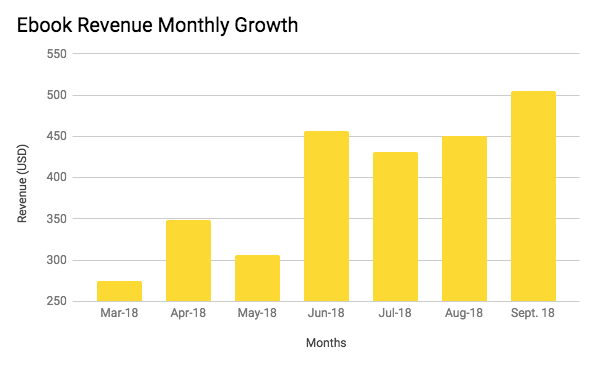 This brought in some good income for us in this area but it still doesn’t compare to when we hit an all-time high with $12,000 in May just from Brand Partnerships alone. When pitching or collaborating with brands, we make sure that we only work with companies that are a good fit. We’ve turned down tons of brand deals because it isn’t related to the adventure/travel lifestyle that we want to get across in our website. As mentioned in our previous income report (which combined Q1 and Q2), we wanted to ramp up our income from our own products. Launching our own products have been a game changer to us and is something I highly recommend for others to try out. In our Blogging Fast Lane Course, one of the modules is aimed at later on offering a product or service to your readers as this is such a good way to boost your revenue. If you have been following our income reports, you would know that we were running experiments on how effective our email marketing was to sell our Southeast Asia guidebooks. We had changed the funnel and have moved our lead magnets around. Because of this, our ebook sales dropped. If you notice in the graph below, for the month of March, our sales have dropped as we were running experiments in the month previous to this on the effectivity of our email marketing campaigns. From an all-time high of earning $600 a month average, we went all the way down to $275. In June, we placed our old lead magnets back and did a revamp on our email marketing sequence which then resulted in our sales going up again. We are counting on this revenue to keep growing as the high season in South East Asia approaches. This mini-experiment just shows the incredible VALUE of email marketing and how it can help you distribute your products (and affiliate articles). I will talk more about this in the Blogging Value Bomb section of this income report. Our Blogging Fast Lane Accelerator Course did amazingly well for Q3. We’ve had loads of people jump in at the chance to join our growing community and we couldn’t be happier. 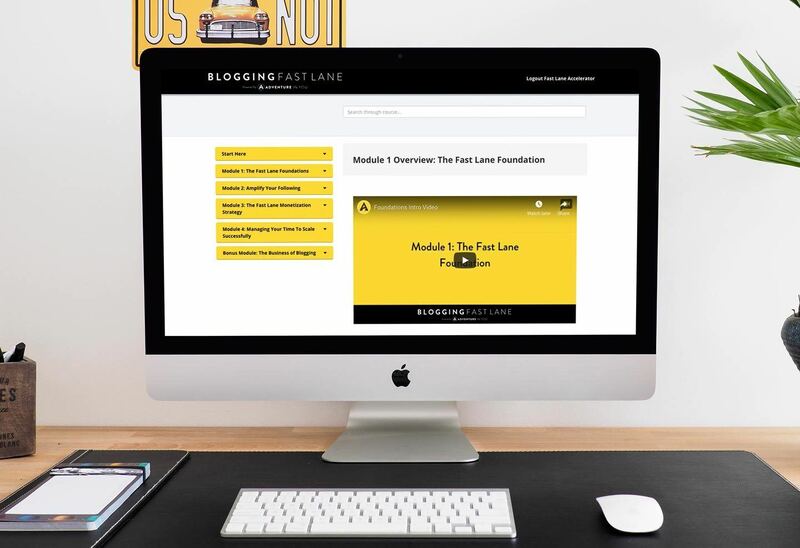 If you’re reading this for the first time, the Blogging Fast Lane Course was a project that Tom and I decided to do as we genuinely wanted to help other people start earning from their blogs. 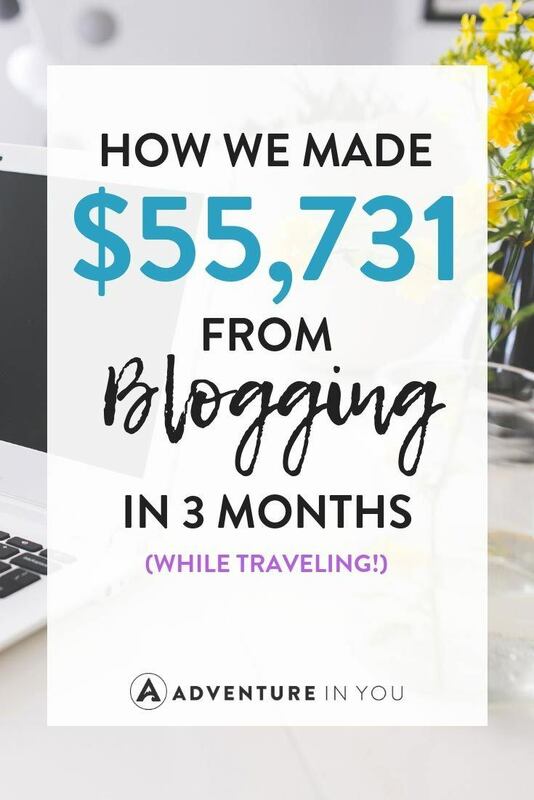 Before we discovered the strategies on how to strategically monetize a blog, we were so frustrated at the fact that we just weren’t earning anywhere near the amount of effort that we were exerting. We found ourselves with a seemingly never-ending list of things to do. We were broke, frustrated, and just constantly felt like we were spinning. For us, it took a mindset shift, the willingness to invest in ourselves and years of trial and error until we discovered what works and what doesn’t. We put this together in a course and the response has been AMAZING. The best thing about this course is that we are constantly updating it with the strategies that we apply in our own blog. Initially, we thought it would be a fun project but seeing the incredible response to our tips and the stuff that we put out in our growing community has been the best part of it all. 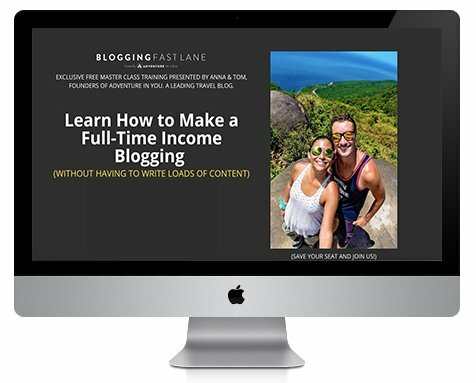 The Blogging Fast Lane Course shows you the exact framework that we used to generate a full-time income from our blog. In fact, we’re even providing you a detailed roadmap on what to do to help accelerate your way into a money-making blog within the first year! The course is 7 weeks but we created the course in a way that students can work on it during their free time ie. around their jobs. The roadmap just takes away the guesswork on what to do which is definitely a big hurdle for struggling bloggers. 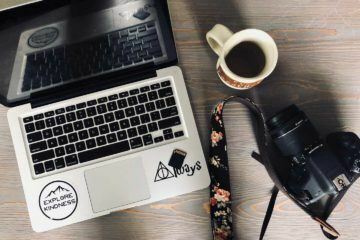 We honestly believe that if you follow the roadmap that we created down to a tee, you will be able to start generating a full-time income for your blog in no time. This was the metric I did not think was getting enough attention in our old income reports. We are building our blogging business as a lifestyle business. Meaning, we want it to generate money even if it is on autopilot, without it being reliant on how much time we put in. We managed to prove that in September when we took the month off (was traveling Morocco, the Czech Republic, then did Oktoberfest) yet we still made $12,566. RPM is the metric that measures the success of this. Even deeper though, would be Passive RPM. Before we would measure general RPM but it would fluctuate if one month we smashed our sponsorship and brand partnerships, which require time. This made us realize that actually the metric we should be focusing on growing is Passive RPM. 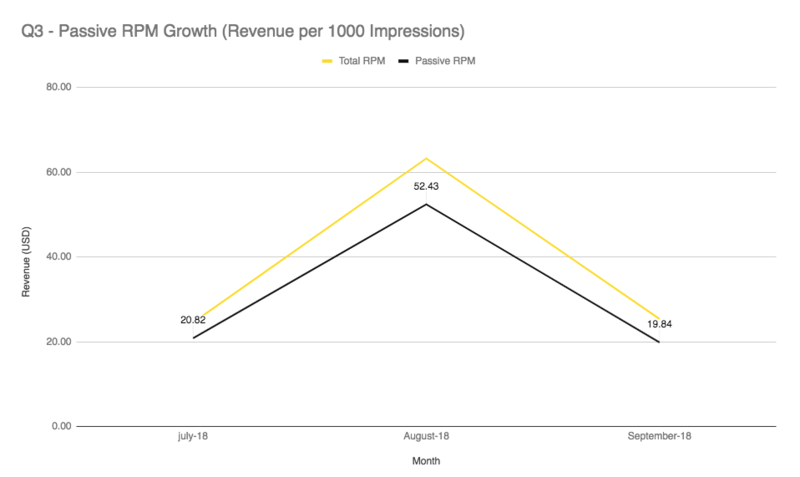 So in the graph below, you can see our Passive RPM growth for Q3. Our aim is to get this number to at least $30-35. Overall, considering we were not too focused on our business, Q3 proved to be a profitable period for us. Although we made $1796 more in Q2, the difference is too small to pout about! However, as you all know, we don’t just want to represent how much we made as we also want to indicate our blogging expenses. This will give you a fair overview of your business and how it is doing. While our income was generally good, we had an expensive few months mainly because we did a lot of traveling! Plus, the cost of living in Europe is generally a lot more so our total expenses involved Airbnbs, hotels, flights, and more. We also invested in a couple of private mastermind communities and 1-on-1 business coaching to help our own personal growth. 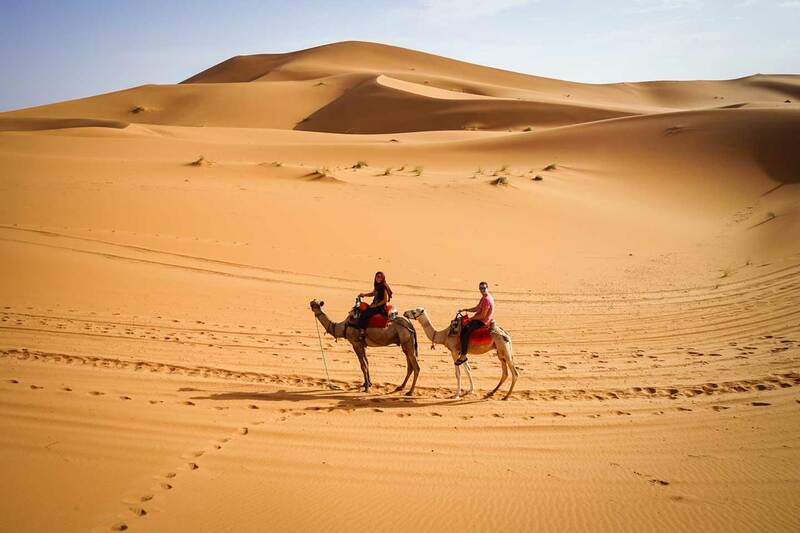 Listed below are the expenses we have running Adventure In You. Although this might seem high to some, for us, it is a small price to pay to be able to run a fully location independent business. Overall, we are still super stoked at how much we have made from our blog considering we had a pretty jam-packed travel schedule! So far this year, we have generated $151,345 from our business which is pretty nuts. We’re hoping to grow by leaps and bounds this Q4 and are excited to implement a few new things! Running experiments and taking a closer look at your revenue sources is the only way you will grow your business. While campaigns are great, often times they take a lot of time which only bring you short-term results. 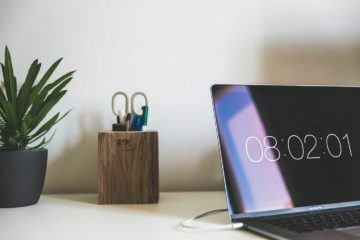 So while they are fun to do, if you’re looking at building a more passive income stream, minimize these campaigns and focus on scalable revenue streams. Once in a while, it feels amazing to take time off and just travel. Tom and I spent a few offline days during these three months and it is nothing but good for the soul! Creating a community and motivating people to pursue their passions is super fulfilling. We love it and love the community we are building. Data is the only thing you can trust when it comes to figuring out what works! 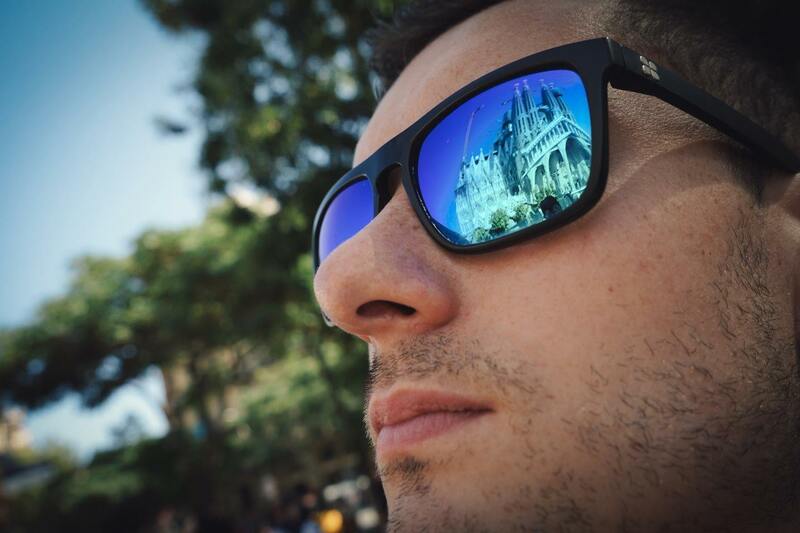 Overall, we completed most of our goals in Q3 which we listed in our last income report apart from get started on our Europe Guidebook. Email Marketing is HUGE and is something all bloggers need to start utilizing. 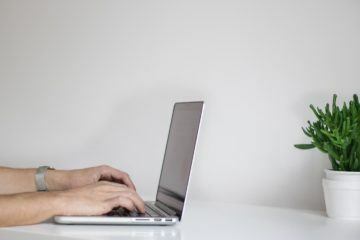 I am actually surprised at the number of bloggers who still aren’t making use of email marketing as a way to connect with their readers, grow their traffic, and more! If you already have a blog, start building that email list. Create relevant lead magnets and create automated sequences to help you grow. 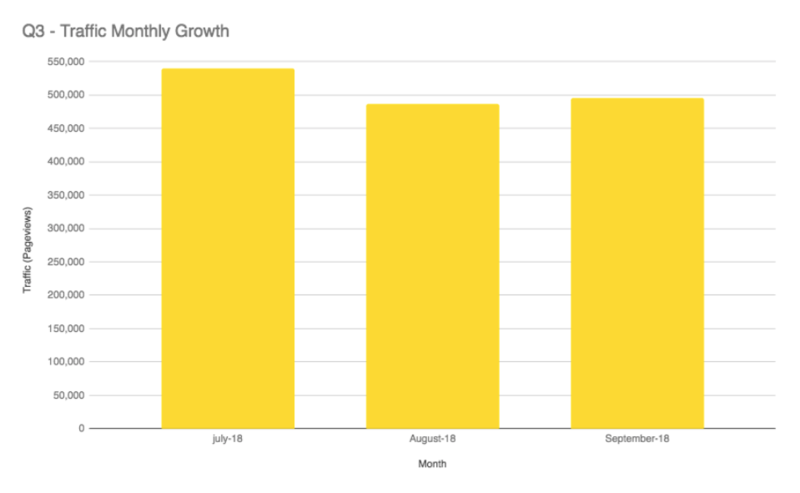 We saw a steady growth as soon as we activated our email sequences in our ebooks which started increasing our sales. As mentioned, a lot of people think that email marketing is only for those who have products to sell but trust me, as soon as you start connecting with your audience, you will start seeing value in these emails. Start by sending out personal newsletters to get people invested in your brand. It makes a huge difference when they feel like they are able to connect with a real human being. Later on, these interactions with your audience might lead to coming up with article ideas and even product ideas! 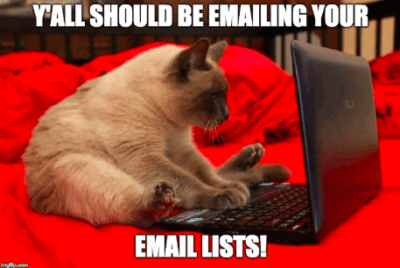 Remember, your email list is your direct lifeline to your audience so start building it and start utilizing the power of email marketing to grow your blog! How to Make a Full-Time Income from Your Blog (Without Writing Loads of Content). In this training, we walk you through three secrets where we talk about mindset and identifying your flow states, the importance of a content strategy, and lastly, the power of a good funnel. As soon as we started implementing the lessons that we’re sharing on this training, our blog started to flourish! Apart from the free training, there will also be a Q&A where we will be asking the most common questions about blogging, monetization, funnels, and more. So many people have gotten loads of incredible value from this training and we can’t wait for it to do the same for you! Click here to join our FREE Training. Our main goal for Q4 is to increase our product revenue because this is the only medium which we have full control of. We are aiming to implement new funnels which will hopefully increase our revenue for our products even more. We are also looking into our display advertising situation to see why it’s going down and to find solutions on what we can do to stop it from happening. As some of you might know, we are back in Chiang Mai, Thailand (the place where we first started hustling on our blog.) Being back here has brought bout so many memories but has just sparked a fire in us again to keep building and growing our blog. Apart from these blogging goals, Tom and I also set personal fitness goals which we hope to achieve by Q4. We both hired a personal trainer and are on strict meal plans as traveling has taken a toll on our health. We might or might not have had waaay too much wine and cheese in Europe. We also invested in a Roost Stand, keyboard, and a mouse to help our posture! Hunching over our laptops for long hours at a time isn’t healthy so we decided to take the plunge even if it will add a couple of extra kilos to our travel gear. Overall, we are aiming to have a super productive end to 2018 and have heaps of exciting things brewing for 2019! Hopefully, you got a few tidbits of value in this income report that will inspire you to keep working on your blog! Disclaimer: Some of the links below (such as World Nomads, Blue Host etc) are affiliate links, meaning, at no additional cost to you, we will earn a commission if you click through and make a purchase. As always, we only recommend products and services we trust.